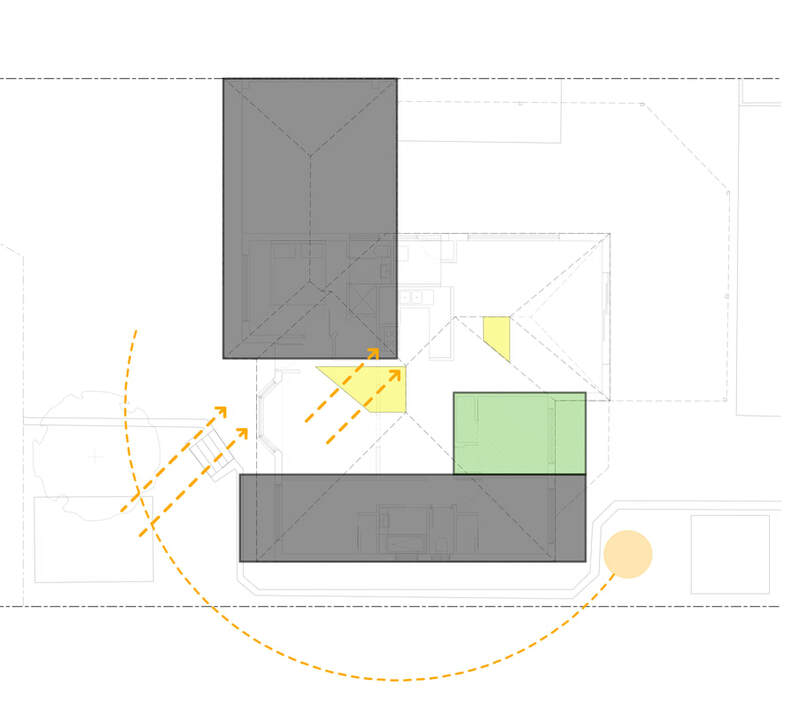 An exercise in how to provide more amenity to an introverted 1990s project home. Better access to northern light and improved ventilation is achieved through the act of plugging in and subtracting elements. 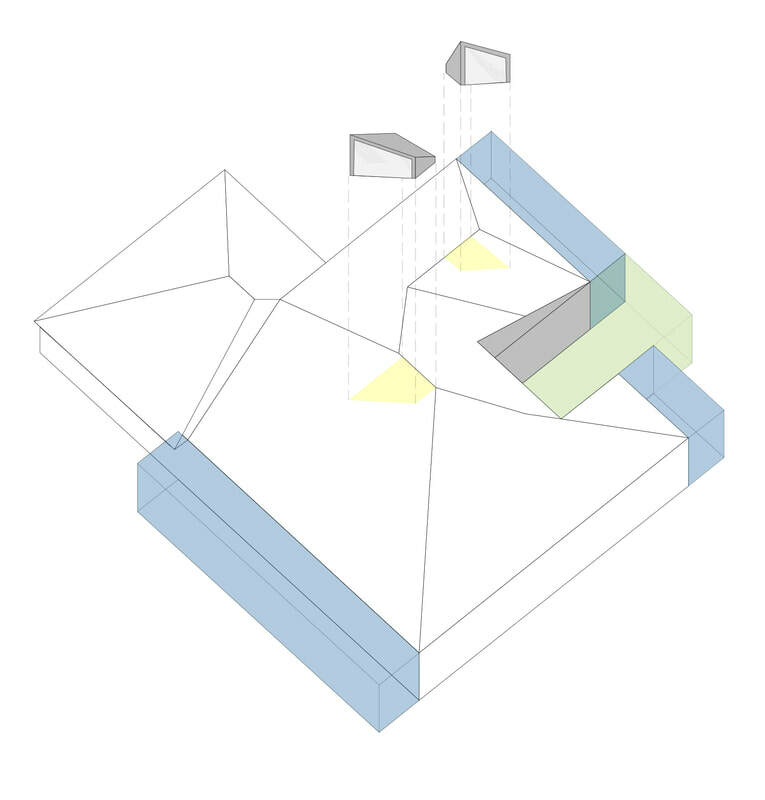 Lightscoops facing due north are dropped into the existing tiled roof to allow light to penetrate into the centre of the plan. Plug in window seats outwardly extend the small bedroom and living spaces and filter more light into the home. A single bedroom has been subtracted from the existing plan to make way for a courtyard offering views to the garden, improved ventilation and better natural light.